Joshua Muravchik, a leading proponent of interventionist U.S. foreign policies, has played an important role in shaping neoconservative ideology and agendas, including pushing for war with Iran. An erstwhile Socialist Party activist, Muravchik has been affiliated with numerous political pressure groups, right-wing think tanks, and organizations associated with the “Israel lobby” in the United States. Muravchik has been a resident scholar at the American Enterprise Institute (AEI), a trustee at Freedom House, a board member of the Jewish Institute for National Security Affairs (JINSA), a promoter of Project for the New American Century (PNAC) advocacy campaigns, and an adjunct scholar at the Washington Institute for Near East Affairs (WINEP). Since 2009, Muravchik has been a fellow at the School of Advanced International Studies (SAIS) at John Hopkins University, a Washington, D.C.-based graduate school that has served as home base for numerous figures associated with neoconservatism, including Paul Wolfowitz, Eliot Cohen, and Thomas Donnelly. Muravchik was staunchly opposed to the nuclear negotiations between Iran and the P5+1 group of nations and argued for imposing additional sanctions on Iran while the diplomatic efforts were on-going. In January 2014, he signed a letter published by the William Kristol-founded Foreign Policy Initiative (FPI) that suggested additional sanctions on Iran could help the negotiations succeed, despite the fact that many experts, the Obama White House, and the rest of the P5+1 believed that adopting additional sanctions would have scuttled talks. One journalist commented that the FPI letter “implicitly endorses” a bill that had been floated in Congress by hawkish Sens. Robert Menendez (D-NJ) and Mark Kirk (R-IL) that would impose new Iran sanctions. Muravchik used his perch at the American Enterprise Institute to advocate attacking Iraq in the wake of the 9/11 attacks and has since been a proponent of the “war on terror.” During the years following 9/11, he was signatory to multiple open letters that were produced by the Project for the New American Century and called on political officials to support a string of newly created “pro-war” pressure groups. Muravchik also lent his support to the 2002 creation of the Coalition for Democracy in Iran, a group spearheaded by Michael Ledeen and Morris Amitay that has advocated for regime change in Iran; he became an advisory board member of the now-defunct Committee for the Liberation of Iraq; he joined a plank of other neocons in forming a revived version of the Cold War Committee on the Present Danger; and he served as an “international patron” of the Cambridge, England-based Henry Jackson Society, a neoconservative-inspired organization that claims to promote a “forward strategy” aimed at assisting democratization across the globe. Despite the deteriorating situation in Iraq and the gradual following out favor of neoconservative advisers and views by the end of President George W. Bush’s first term, Muravchik secured an appointment during the second Bush administration to the State Department’s Advisory Committee on Democracy along with like-minded ideologues Vin Weber and Carl Gershman of the National Endowment for Democracy, Lorne Craner of the International Republican Institute, and Clifford May of the Foundation for Defense of Democracies. The committee—which was created in 2006 “to advise the Secretary of State and the Administrator of the U.S. Agency for International Development on the consideration of issues related to democracy promotion in the formulation and implementation of U.S. foreign policy and foreign assistance”—received unfavorable media attention in April 2007 after the press was forced out of one of its meetings. In December 2008, Jacob Heilbrunn of the National Interest reported that Muravchik, who had been at AEI for more than two decades, was forced out of the think tank by a faction more favorable to the traditional realist wing of the Republican Party, including Danielle Pletka, a former staffer of Sen. Jesse Helms (R-NC). Heilbrunn reported that several neoconservatives he had spoken to viewed Muravchik’s departure, as well as the then-recent resignations of two other high profile neocons at AEI (Michael Ledeen and Reuel Marc Gerecht), as part of “purge” at the think tank. Muravchik has been a key player in the neoconservative advocacy world since the mid-1970s, when he served as the director of the Coalition for a Democratic Majority, a hardline Democratic Party pressure group led by, among others, Penn Kemble and Sen. Henry “Scoop” Jackson (D-WA), that aimed to curb the influence anti-war elements within the party in the wake of the Vietnam War. 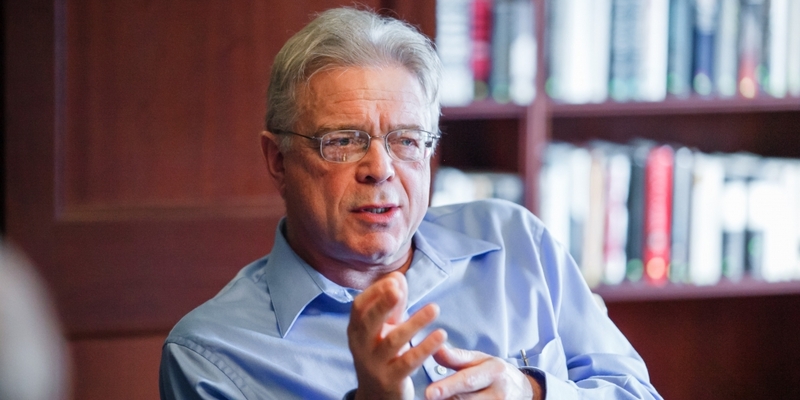 In the late 1980s and early 1990s, Muravchik played an important role trying to adapt neoconservative ideas to the rapidly evolving international situation. Muravchik endeavored to craft a new interventionist mission for the United States as the Soviet Union crumbled, an event that wreaked havoc on the neoconservative anticommunist and anti-détente consensus that had been in place since before the election of Reagan. As scholar John Ehrman put it, “The neoconservatives’ view of the world assumed a stable, malevolent Soviet Union that was immune from drastic change.” With the rise to power of Mikhail Gorbachev and the ensuing warming relations between the two superpowers, neoconservatives experienced a sharp decline in their influence in the Reagan administration and a rupture within their own ranks. The neoconservatives entered “a period of increasing confusion,” writes Ehrman, which was characterized by “an intellectual failure.” Lacking a clear enemy, some neoconservatives, like Irving Kristol, began reconsidering whether the United States needed to undertake an aggressive role in global affairs, while others sought to find renewed justification for continued military mobilization—some by attempting to rehabilitate the Soviet threat, others by envisioning new threats and missions for the United States. For many first-generation neoconservatives like Irving Kristol, these ideas represented “a dangerous manifestation of Wilsonianism,” as the conservative scholars Stephen Halper and Jonathan Clarke characterized the dissent in their 2004 book America Alone. Instead, Kristol advocated a new realism based on the prevailing circumstances in the international system. Arguing that there was no longer any “balance of power for us to worry about,” efforts at “monitoring and maintaining a balance of power among other nations, large and small, in Europe, the Middle East, Asia, and elsewhere, would make the United States the world’s policeman.” “We are simply not going to be that kind of imperial power,” he concluded. 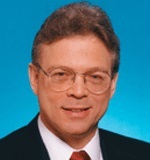 Likewise, Robert Tucker, a longtime contributor to neoconservative journals, warned against undertaking a new mission to impose freedom, promoting instead “a framework of stability and moderation within which democratic institutions may take root and grow.” Presciently, however, although he opposed these new trends in neoconservative discourse, Kristol recognized that they would appeal “not only to liberals but to many conservatives who are ideologically adrift in the post-Cold War era.” In the late 1990s, neoconservative-led groups like PNAC successfully began to exploit the appeal of their democracy rhetoric to enlist various factions, including many liberal internationalists and Christian Right leaders, behind their appeals for a more interventionist U.S. foreign policy. These neocon-led coalitions proved invaluable as neoconservatives began to push for war in Iraq after 9/11. For Muravchik and other neoconservative hardliners, people like Kristol had ceased being neoconservatives by the end of the 1980s. Instead, they were, according to Muravchik, conservative neo-realists or “right isolationists.” Around the ideas promoted by Muravchik and Krauthammer a new era of neoconservatism began to emerge, one spearheaded by what conservative scholars Stephen Halper and Jonathan Clarke called a “Young Turk faction,” which grew to include the offspring of many of the earliest neoconservatives, including William Kristol (son of Irving), Robert Kagan (son of Donald), John Podhoretz (son of Norman), and Daniel Pipes (son of Richard). Joshua Muravchik, “Like a Broken Record,” The Weekly Standard, August 4, 2014, http://www.weeklystandard.com/articles/broken-record_797366.html?page=2. Amazon, “Making David into Goliath: How the World Turned Against Israel,” http://www.amazon.com/Making-David-into-Goliath-Against/dp/1594037353. Jennifer Rubin, “Demonizing Israel: A Q&A with Joshua Muravchik,” The Washington Post, July 15, 2014, http://www.washingtonpost.com/blogs/right-turn/wp/2014/07/15/demonizing-israel-a-qa-with-joshua-muravchik/. Napp Nazworth, “Why are Liberals Opponents of Israel?” The Christian Post, July 17, 2014, http://www.christianpost.com/news/why-are-liberals-opponents-of-israel-123416/. Marvin Olasky, “Joshua Muravchik: A nation without allies,” World, May 1, 2015,http://www.worldmag.com/2015/05/joshua_muravchik_a_nation_without_allies/page1. Joshua Muravchik, “Bomb Iran,” Los Angeles Times, November 19, 2006. Joshua Muravchik, “Opposing view: On Iran, more sanctions won't work,” USA Today, November 9, 2011,http://www.usatoday.com/news/opinion/story/2011-11-09/Iran-nukes-military-option/51144536/1. Peter Beinart, “The Hawks’ Hypocrisy on the Iran Sanctions Bill,” The Atlantic, January 23, 2014, http://www.theatlantic.com/politics/archive/2014/01/the-hawks-hypocrisy-on-the-iran-sanctions-bill/283287/. Joshua Muravchik, “War with Iran is probably our best option,” The Washington Post, March 13, 2015, http://www.washingtonpost.com/opinions/war-with-iran-is-probably-our-best-option/2015/03/13/fb112eb0-c725-11e4-a199-6cb5e63819d2_story.html. Daniel Larison, “The Appalling Case for an Unnecessary War with Iran,” The American Conservative, March 14, 2015,http://www.theamericanconservative.com/larison/the-appalling-case-for-an-unnecessary-war-with-iran/comment-page-1/. Joshua Muravchik, “Obama’s Nuclear Deal is the Most Likely Path to War,” The Weekly Standard, August 19, 2015,http://www.weeklystandard.com/blogs/obama-s-nuclear-deal-most-likely-path-war_1014601.html?page=2. Henry Jackson Society, “International Patrons,” http://www.henryjacksonsociety.org/content.asp?pageid=37 (accessed on October 9, 2008). Freedom House, Board of Trustees, http://www.freedomhouse.org/template.cfm?boardmember=63&page=10; State Department, “Advisory Committee on Democracy Promotion Members,” April 18, 2007, http://web.archive.org/web/20071225141443/http://www.state.gov/g/drl/rls/83347.htm. State Department, “Description of Advisory Committee on Democracy Promotion,” April 18, 2008,http://web.archive.org/web/20080306040317/www.state.gov/g/drl/rls/83845.htm. Dana Milbank, “Closed-Door Openness at Foggy Bottom,” Washington Post, April 17, 2007. Joshua Muravchik, "The FP Memo: Urgent: Operation Comeback," Foreign Policy, November/December 2006,http://www.foreignpolicy.com/articles/2006/10/10/the_fp_memo_operation_comeback. Quoted in Jim Lobe, “Muravchik” McCain Will Bomb Iran,” Lobelog.com, September 26, 2008, http://www.ips.org/blog/jimlobe/?p=190. GroupWatch Profile, Committee for the Free World, https://rightweb.irc-online.org/gw/1587.html. John Ehrman, The Rise of Neoconservatism: Intellectuals and Foreign Affairs 1945-1994, Yale University Press, 1995, p. 173. Stefan Halper and Jonathan Clarke, America Alone: The Neoconservatives and the Global Order, Cambridge University Press, 2004, p. 79. Stefan Halper and Jonathan Clarke, America Alone: The Neoconservatives and the Global Order, Cambridge University Press, 2004, p. 77. Cited in John Ehrman, The Rise of Neoconservatism: Intellectuals and Foreign Affairs 1945-1994, Yale University Press, 1995, p. 181. Stefan Halper and Jonathan Clarke, America Alone: The Neoconservatives and the Global Order, Cambridge University Press, 2004, p. 76. Jim Lobe and Michael Flynn, "The Rise and Decline of the Neoconservatives," Right Web, November 17, 2006, https://rightweb.irc-online.org/rw/3713.html. Charles Krauthammer, “Universal Dominion: Toward a Unipolar World,” National Interest,” Winter 1989/90; Charles Krauthammer, “The Unipolar Moment,” Foreign Affairs, Winter 1990/91. City College of New York: B.A.